How to clear system cache on the Droid Turbo? Does anyone know how to do this on the Turbo. I tried holding volume down and power and got to a menu, but couldn't figure out which command does it. I use an app called Clean Master, and it works really well and is super easy. 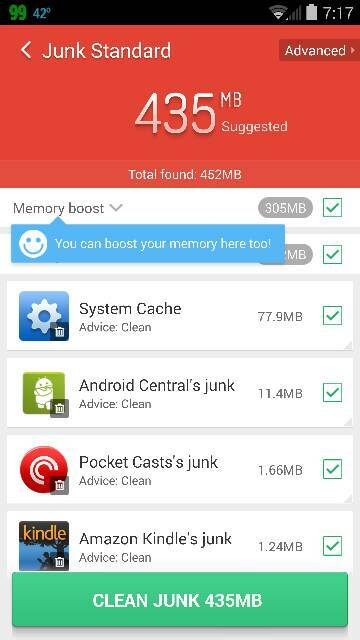 That only cleans app caches, not the system cache partition. Is this system cache different? I thought they were the same. Yes, it took a lot longer than I thought it would on mine too. And as firedogee said, be careful. You can easily accidentally do a factory reset if you are not careful and the text is extremely small! Hmm, I'm not sure if that's the actual system cache partition, or just the app cache of a system app. I think they're different, but I'm not 100% sure. I would have thought that since it's a Recovery Menu function, cleaning the cache partition was something that an app couldn't do, unless maybe if the phone was rooted. I'm not sure either but I'm thinking you're probably right about having to be rooted. I just emailed the dev and asked him about it. We'll see what he/she says. Thanks! Downgrade Droid Razr Jellybean 4.1.2 to Gingerbread? Used Lock with new Password on Device Manager- new Pass won't work?? ?